Cotman brushes are a range of pure synthetic water colour brushes of the highest quality that have been created using the same skills, generated over many years, as those used in making the finest sable brushes. The secret of the Cotman brush lies in the fibres. By blending fibres of differing thickness we achieve the three most important qualities sought after by the artist. The thicker fibres contribute strength and spring whilst the thinner fibres improve colour carrying capacity, which have recently been improved by 50%. Together they retain a perfect point, time after time. Showing 3 of our total 7 reviews, with an average rating of 5 stars. 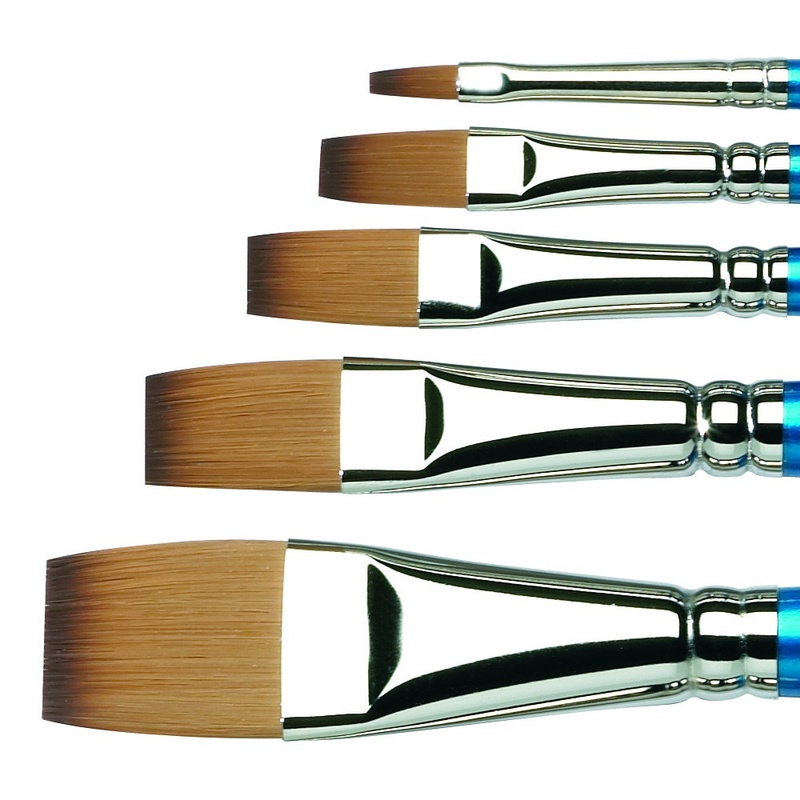 Read all 7 reviews for Winsor & Newton Cotman Synthetic Brush*. Excellent brushes and at reasonable prices, makes quality affordable. An artist cannot have too many brushes and at this price it is affordable. I find that there is little malting - the hairs tend to stay on the brush - unlike some cheap brushes. They spread the paint well. I will buy again. I have bought a number of these brushes from Crafty Arts and recommended my daughter to invest in half a dozen. Out of all the synthetics I have found these to be the best. The sizes I mainly use are 5 and 7, but I now have every size and type due to the excellent price offered by Crafty Arts. Would recommend.